Secret Bases is a toy design project done over the summer of 2017/18. The brief was to design a toy for 5 to 7 year olds, based off of an existing franchise, featuring an original character and mock up packaging. 5 to 7 year olds have a penchant for imaginative play, so I designed a playhouse that could be put together and taken apart, so it can be easily stored and then built up however the child wants. Floor and wall pieces are all equal sizes and have equal size notches and extensions so that they can all stick together in whatever set up you would like. 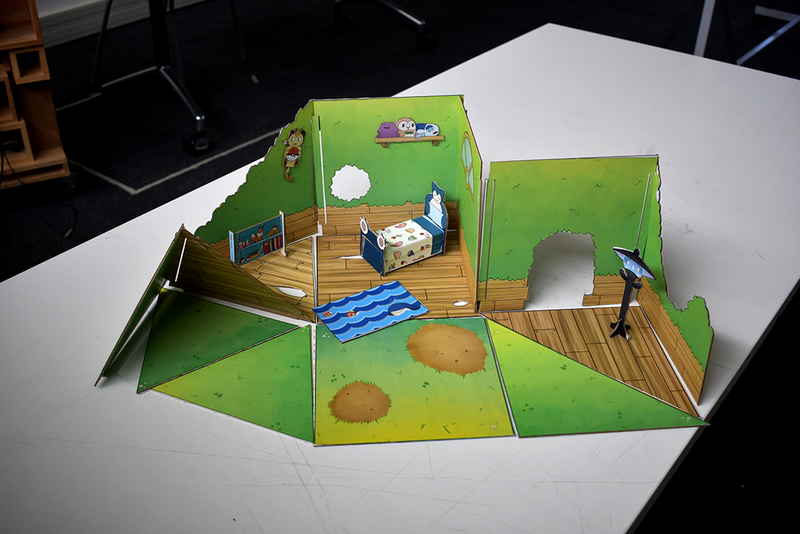 The set also comes with flat furniture, which either sticks onto walls with magnets or is assembled like papercraft to stand up on it’s own accord. 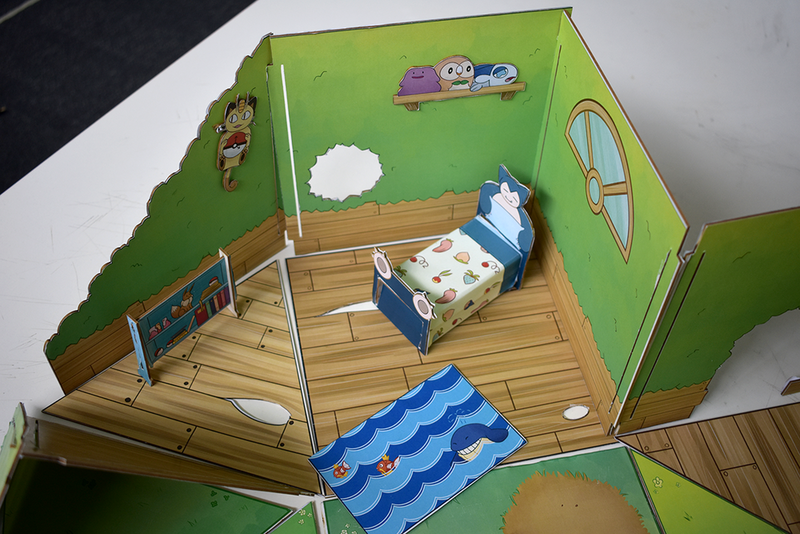 The prototype playhouse set was made with card, laser cut to shape. The figurine was made of wire and clay.